This last day of 2016, I'm posting another catch-up article – this time to report a few sells executed in December. Only one of the sells involved closing out a position. With the other three sells, I'm getting rid of shares held in my FolioInvesting brokerage account, but not the corresponding shares held in my Scottrade account. Recall that my DivGro portfolio is distributed across several brokerage accounts. As far as possible, I try not to have the same stock in multiple accounts. I prefer simplicity, and splitting a position across multiple accounts adds unnecessary admin. When I consolidated all my brokerage accounts into the DivGro's fold, some duplicate positions came along for the ride. Another reason I want to "clean things up" is to cater for options trading – specifically covered calls – which requires 100 shares for every options contract. Split positions across multiple accounts do not qualify for covered call trades. I'll be using the cash from these sells to round out more of my positions to 100 shares or multiples of 100 shares. Following are details of four sell trades executed on 23 December. Today I'm completing a 3-part series of articles on my December buys. For various reasons, I couldn't report on these trades earlier. All the buys are additions to existing positions rather than new positions. Part 1 detailed four buys and Part 2 detailed three additional buys. This article presents my final buys in 2016, all executed earlier this week. Tomorrow, I'll post my last article for 2016 detailing a few sell transactions. I've been consolidating DivGro and preparing for options trading, closing several positions and using the cash to round out remaining positions to 100 shares (or multiples of 100 shares). With a solid foundation of dividend growth stocks, I can boost dividend income by selling covered calls on the stocks I own. Yesterday I posted Part 1 of several December buys that have gone unreported so far. The buys are all additions to existing positions rather than new positions. For several months now, I've consolidated my DivGro portfolio with the goal of preparing for options trading. To do so, I closed several positions and used the cash to round out remaining positions to 100 shares (or multiples of 100 shares) for covered call trading. I'm also moving much of my portfolio to Interactive Brokers because of the company's competitive commissions, especially for options trading. This process will take some time to complete and I'll probably have a short period in which no trading would be possible. I have yet to report my buys for December. In addition to spending some 30 hours traveling back from South Africa, I've been quite busy doing the research for and writing my recent Seeking Alpha article Top Holdings of Dividend ETFs. I'm happy to say the article is generating a lot of interest and is keeping me quite busy replying to comments. Several buys have gone unreported and the goal of my next three articles is to detail them. All the buys are additions to existing positions. In some cases, I immediately sold call options on the underlying shares but I'll defer reporting those trades to my next options update article. Following are summaries of four buys I executed on December 5th and 6th. In June this year I started trading options in DivGro. 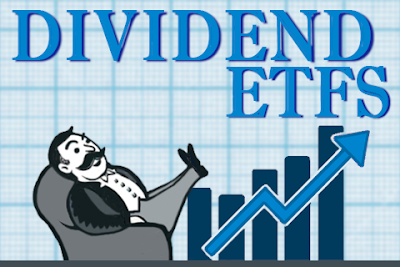 The idea is to use to boost dividend income with options income, in effect leveraging the ownership of a substantial portfolio of dividend growth stocks. While my focus will remain on dividend growth investing, options trading provides an interesting and potentially lucrative sideline activity. Every month, I compile an update of all options activity shortly after options expiration Friday. Doing so allows me to report any options that expired or got assigned. I also report new options trades and provide a running tally of options income to date. Soon I'll write about my goals for 2017, which will include a new goal related to options trading. The year 2016 is almost over, so it is time to set new goals for 2017! I believe in setting stretching yet achievable goals. It is not useful to entertain goals that are impossible to achieve. On the other hand, setting goals that are easy to achieve will not require special effort and will not leave you with a special sense of accomplishment. Stretching goals demand extra effort and focus. They require commitment, patience, and constant monitoring. Sometimes, when progress is not sufficient, they require a course correction. In this article, I'll do a quick review of my 2016 goals and present my goals for 2017. In the past few weeks, 12 companies on my watch list announced dividend increases, including 2 of the stocks I own. The goal of my monthly pulse articles is to monitor the health of DivGro, my portfolio of dividend growth stocks. I provide various charts to visualize recent performance. I also provide updated fair value estimates and compare those estimates to current market prices. My goal is to help inform investment decisions. These articles are strategy focused. I consider undervalued stocks to see if they are suitable for further investment. Underperforming stocks, on the other hand, could be candidates for the chopping block. Additionally, I may analyze a handful of stocks not yet in my portfolio to see if any of those pique my interest. Last month, I identified three positions I wanted to close. I closed two of these positions at the end of November. The third, PennantPark Investment (PNNT), will remain in DivGro until the end of December or possibly into January 2017. Founded in 1862 and based in Omaha, Nebraska, Union Pacific Corporation (NYSE:UNP) operates the largest public railroad in North America, with 32,000 miles of track linking 23 states in the western two-thirds of the United States. UNP hauls coal, industrial products, intermodal containers, agricultural goods, chemicals, and automotive products. I bought shares of UNP on several occasions starting in February 2014. Most recently, I bought 44 shares to round out my position to 100 shares. On 26 September 2016, I sold one contract of option UNP Dec 16 2016 97.50 C for $2.18 per share, collecting $210.30 in options premium income after commissions. Last Friday, the option was exercised and I sold my shares for $97.50 per share. In my first exclusive article for Seeking Alpha, I presented the Blogger's Portfolio, an imaginary portfolio compiled by aggregating the public portfolios of dividend growth investment (DGI) bloggers. At the time, McDonald's Corporation (MCD), The Coca-Cola Company (KO) and AT&T Inc (T) topped the list of most popular dividend growth stocks held by DGI bloggers with public portfolios. I repeated the exercise last year, creating the 2015 edition of the Blogger's Portfolio with data from 43 public portfolios listed on my blogroll. The most popular stock, held by no fewer than 36 out of 43 portfolios, was Johnson & Johnson (JNJ). AT&T and Coca-Cola swapped places, while McDonald's dropped to seventh place. Soon I'll present the 2016 edition of the Blogger's Portfolio. With this article, I'm presenting a similar analysis using a different data source – the top 25 holdings of dividend ETFs (exchange-traded funds). The analysis produced a ranked list of the 45 top dividend growth stocks held in dividend ETFs. Wells Fargo & Company (NYSE:WFC) is a diversified, community-based financial services company with $1.9 trillion in assets. Founded in 1852 and headquartered in San Francisco, the company provides banking, insurance, investments, mortgage, and consumer and commercial finance through approximately 8,600 locations, 13,000 ATMs, the internet, and mobile banking, and has offices in 42 countries. I bought shares of WFC in June 2016 and locked in a yield on cost (YoC) of 3.27%. After my purchase, the stock price steadily climbed until news broke about the accounts scandal in which bank employees opened accounts without customer's authorization. The stock price dropped more than 12%, then recovered nicely along with the market after Trump's election victory. Now that WFC is trading well above my entry price, I've decided to close my position. Companies can only raise their dividends regularly if earnings grow sufficiently. Recently, 10 companies on my watch list announced dividend increases. I'm writing this monthly review at my parent's home in South Africa. Three weeks ago, my father underwent quintuple bypass surgery. While he is still weak, he is recovering slowly but steadily. We're all grateful to be on this side of the operation... it was quite stressful, especially for my 80-year old mother. In between helping my parents, I've had ample time to tinker with DivGro and to continue writing articles. One Seeking Alpha article, 10 Dividend Growth Stocks For November 2016, has received more than 10,000 page views, the first time I've reached that milestone! Meanwhile, my new options update and pulse article series are generating lots of interest. This month, I closed two of my DivGro positions and added shares to another position. Along with three dividend increases, the net result is that DivGro's projected annual dividend income (PADI) increased by about $216 to $11,505. I'm quite close to achieving my 2016 goal of increasing PADI to $12,000, but it will be touch-and-go! Every month, I rank a selection of the CCC dividend growth stocks and present the top 10 ranked stocks as candidates for further research. To introduce variation, I use different screens to trim the list of more than 750 stocks. I rank these candidates and assign a 7-star rating to each stock. Stocks with 5 stars or better are worthy of further analysis. This article reveals the top 10 ranked stocks for December, as well as their ratings. I monitor dividend increases for stocks on my watch list of dividend growth stocks to identify candidates for further analysis. This past week, 9 companies on my watch list decided to increase their dividends, including 1 of the stocks I own.